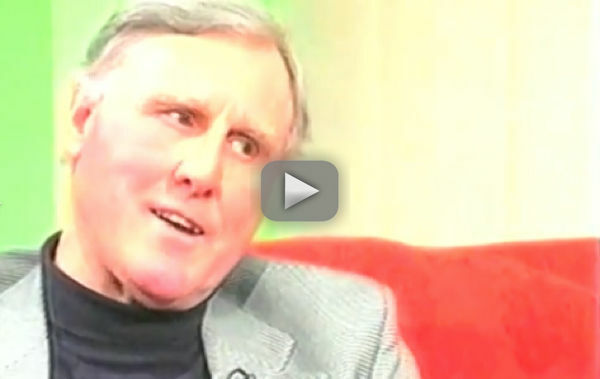 In 2001, Michael Roll was interviewed by Jenny Smedley on Taunton TV. Taunton TV broadcast to Taunton and Wellington (Somerset, South West England). The station closed in 2002. In the interview, Michael Roll talks about the important work of the chemist Sir William Crookes, who, working with a materialisation medium, proved in repeated scientific experiments under laboratory conditions that we all survive the death of our physical bodies. The results of these experiments were published in 1874 in the Quarterly Journal of Science. Michael tells that the physicist Sir Oliver Lodge, in his 1933 lecture The Mode of Future Existence, proposed a cosmological location for the so-called spiritual part of the universe. Michael Roll links these major breakthroughs in scientific understanding with the work of Ron Pearson, who has discovered a structure of the ether that has potential to evolve intelligence. Ron Pearson has provided the mathematical theory to back up the experiments of Sir William Crookes. "The sun never shone on a greater worth. It is not the concern of a day, a year or an age, posterity is virtually involved in the contest, and will be more or less affected, even to the end of time, by the proceedings now: now is the seed time of American continental union, faith and honour. Freedom hath been hunted round the globe, Asia and Africa hath long expelled freedom. Europe regards freedom like a stranger, and England hath given freedom warning to depart. O America, receive the fugitive freedom, and prepare, in time, an asylum for humankind." "These are the times that try men's souls. The summer soldier and the sunshine patriot will in this crisis turn from the service of his country, but he that stands it now deserves the love and thanks of man and woman. Tyranny, like hell, is not easily conquered, yet we have the consolation with us, the harder the conflict, the more glorious the triumph. Let it be told to the future world, that in the depth of winter, when nothing but hope and virtue could survive, the city and the country, alarmed at one common danger, came forth to meet and to repulse it." "When it can be said by any country in the world, my poor are happy, neither ignorance nor distress is to be found among them, my jails are empty of prisoners, my streets of beggars, the aged are not in want, the taxes are not oppressive, the rational world is my friend because I am the friend of happiness. When these things can be said, then may that country boast its constitution and government. Independence is my happiness, the world is my country and my religion is to do good." "I hope for happiness beyond this life, I believe in the equality of man, and I believe that religious duties consist in doing justice, loving mercy, and endeavouring to make our fellow creatures happy. I do not believe in the creed professed by the Jewish Church, by the Roman Church, by the Greek Church, by the Muslim Church, by the Protestant Church, nor by any Church that I know of. My own mind is my own Church." "All national institutions of Churches appear to me no other than human inventions, set up to terrify and enslave mankind, and to monopolise power and profit. Now some will say are we to have no word of God, no revelation? I answer, yes, there is a word of God, there is a revelation, the word of God is in the creation we behold, and it is in this word, which no human invention can counterfeit or alter, that God, speaketh, universally to man." "Where freedom is", said Benjamin Franklin, "there is my country,"
"Where freedom is not," replied his friend Paine, "there is mine,"
All these quotations are taken from Kenneth Griffith's brilliant Thomas Paine documentary that somehow, in 1982, crept past the thought police who control the BBC in England. All requests for a repeat have been flatly rejected. This outstanding tribute to Thomas Paine - "The Most Valuable Englishman Ever" - is taken from Arthur Findlay's suppressed history of humanity, "The Curse of Ignorance”. Paine's teachings have been debarred from schools everywhere and his views of life misrepresented until his memory is hidden in shadows, or he is looked upon as of unsound mind. I have been thinking about what you said about being careful of throwing scientists and religionists in at the deep end. When do you think the time is right to present the secular scientific case for survival after death? Was Galileo wrong to say to his fellow scientists, and to the priests, that we are on a planet that circles the sun? This is also what the great Greek scientist put forward 2,300 years ago – Aristarchus. How about the Greek scientist Eratosthenes? He actually proved the world was round at the same time as Aristarchus got it right about planets. Do you think that William Tyndale and Martin Luther made a mistake in translating the Bible into English and German? I admit that this led to terrible slaughter. Just when is the time right? The truth has always upset powerful people. Thomas Paine was wanted dead or alive in England when he published ‘The Age of Reason’ in 1792. Thank goodness this can now be read on the Internet, along with Arthur Findlay’s ‘On The Edge of the Etheric’ and his true history of mankind ‘The Curse of Ignorance’. This has thrown up a huge paradox. Galileo was right in his clash with his fellow scientists and the Roman Catholic priests. Now in 2018, it is the priests who are starting from the correct scientific base that we all have a soul that separates from the dead physical body. This time it is the materialistic scientists who are following Einstein into oblivion who have got it desperately wrong. The mind does not die with the brain. To Mark Thompson: The Person responsible for posting the Thomas Paine documentary on the Internet “The Most Valuable Englishman Ever” that is now in pole position on this website. Mark, many thanks for sending me that DVD “Sceptics: Who are they? Why are they wrong? And why does it matter?” The man giving the lecture is basing his case on the dreadful priestly word “believe” and that sceptics like Susan Blackmore do not believe. Findlay hits everything on a scientific basis. Every time I have gone up against Susan Blackmore at London University and local media, I always point to chemistry’s Periodic Table. In the 21st century we now know that we are made of invisible stuff. We can’t see our subatomic building blocks, the protons, neutrons and electrons, not even through the most powerful microscopes. Therefore it is no longer so fantastic to have something, an invisible soul, that separates from the dead physical body. Anyway, many thanks for sending that DVD, very much appreciated. John, by far the most exciting thing that has happened recently in scientific advancement is that all scientists now agree that 95% of the universe is missing. This is where gravity is coming from. This is the so-called spiritual part of the universe that Jesus talked about two thousand years ago; it is the “spiritual” part of the universe that Sir William Crookes discovered in 1874, exactly 144 years ago, following repeatable experiments under laboratory conditions; it is the part of the universe that we all come from and return to after our short stay on earth when the mind separates from the dead physical body. It also gives a rational explanation to all the millions of so-called ghost stories down through the centuries. When I made a snow ball as a child I scooped up the snow and pushed the snow to make it round. This is how the force of gravity works. As Professor Brian Cox keeps saying on his TV programmes, “Gravity is not a giant magnet at the centre of the earth keeping the oceans from flying off into space, it is an external force.” Gravity is no longer a mysterious force. We now know this is the reason why suns, planets and moons are round. When people eventually gain access to the scientific case for survival after death as set out on this website then all the terrible religious killing and hatred should come to an end. If I have helped just a little to put a stop to what we are now witnessing in Syria and all the religious hatred that has been, and is still going on throughout the world, then my short stay on earth will have been worthwhile. Excellent letter in The Guardian. How right you are about Plato. As Carl Sagan made very clear in his outstanding 13 part BBC series ‘Cosmos’, Plato was a mystic, the very antithesis of a humanist. You will see below that discoveries in physics that have been blocked in the UK are now reaching young people in the USA. Many years ago I did lecture at London University with the world famous expert on the subject of life after death – Professor Susan Blackmore - who was once a recipient of the Perrot-Warrick money from Trinity College at Cambridge University that is given out to those looking into the subject of life after death. Understandably everybody thinks that she is an expert. Susan is only an expert at putting just one side of the argument. The only one that the thought police allow to be heard in the UK on mainstream media and most educational outlets. How The Powerful Thought Police Work in England: Talking to a few students at London University is reasonably harmless. This is why a balance was allowed. Susan put the case against survival, as she always does, on mainstream media and educational outlets in the UK. However, the big difference here at London University, I was allowed to do something that is censored in the UK, I put the secular scientific case for survival after death – the censored scientific discoveries of our British pioneers of radio and television, Sir William Crookes and Sir Oliver Lodge, the first person to send a radio signal from Oxford University in 1894. This may be censored in England but thankfully this is not the case in the USA and on the Internet. The powerful obscurants will not be able to hold out for much longer against a huge tsunami of suppressed scientific discoveries dating from 1874 when Sir William Crookes discovered the so-called spiritual part of the universe. The missing 95%. I would not mind betting that it will turn out that 99.9% of the universe is missing. Out of range of our five physical senses. Please note that Sir William Crookes invented the cathode-ray tube. He is a pioneer of television. 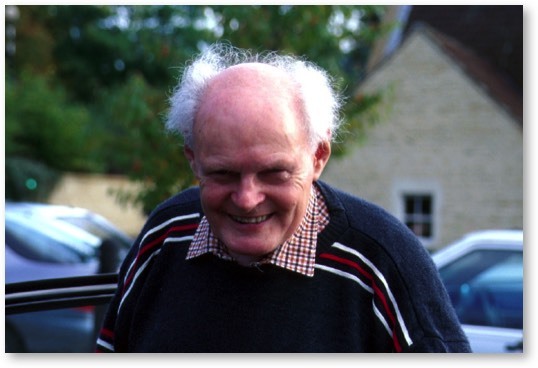 Following is an open letter to Tricia Robertson, a close friend of Professor Archie Roy when he was head of astronomy at Glasgow University in 1983. This was once called the Department of Natural Philosophy. Tricia, watching my friend using his expensive smart phone that was bringing into focus and hearing something that can’t be seen or heard, without the medium in his hand, put me in mind of what your friend Professor Archie Roy witnessed in 1983. As you know Archie carried out repeatable experiments with the Leicester materialisation medium Rita Goold. He witnessed the same thing that I did. Six recently deceased people were materialising every time Rita gave a demonstration. This proved to their relations, who were still on Earth, that they were still very much alive and had survived the death of their physical body. One of these etheric people who materialised was a nine-year old boy, Russell Byrne, who had died of cancer many years before. You told me that Archie had been given permission by the etheric people, who were in charge of the experiment, to shine a red torch over the materialised boy. His mother, Gwen, was also allowed to do this. Gwen has been physically reunited with her “dead” son on something like 100 repeatable experiments. This also reminds me of another famous experiment. The story of Jesus being physically reunited with his close friends, his disciples, after he was killed. We now know that one of the disciples of Jesus must have been a materialisation medium, just like Rita Goold or Florence Cook, the materialisation medium that Sir William Crookes worked with in 1874 when he published the results of his experiments in The Quarterly Journal of Science. Hugh, you mentioned on the golf course the famous television scientist Professor Brian Cox. He is let loose on the public because his false model of the universe is no danger to the Vatican and their powerful materialistic agents. All the time Cox is following Einstein into oblivion he keeps the priests and mullahs in power, and their lucrative monopoly on the vast life after death industry. All the terrible religious hatred and killing continues. Even today people think that the subject of life after death is something to do with religion. What men invented in the Dark Ages of ignorance. What is even worse Brian Cox is locked into the hopelessly outdated Big Bang theory. This was invented by a Roman Catholic priest, George Lemaitre, in 1927. At this time all scientists thought that our Milky Way galaxy was the universe. In 1929 Hubble discovered galaxies. We now know that there are trillions of galaxies like our Milky Way. The whole universe is getting bigger and bigger, this also includes our Milky Way galaxy. All George Lemaitre did was to reverse the expanding Milky Way galaxy all the way back to nothing, hence the Big Bang. With the benefit of hindsight, and especially Sir William Crookes discovery of the so-called spiritual part of the universe in 1874, what George Lemaitre should have done is to reverse the expanding Milky Way back into the missing 95% of the universe, the spiritual part of the universe that we all come from and return to after our short stay on planet Earth. The mind separates from the dead physical body. This also gives a rational explanation to account for all the so-called ghost stories down through the ages. Materialists have discovered the spiritual part of the universe that Sir William Crookes first discovered in 1874. The materialists have got there from a different direction to that taken by Sir William. Sir William Crookes’ spiritual part of the universe and the materialists’ Dark Matter and Dark Energy are doing the same thing, causing the physical part of the universe to get bigger and bigger. The only trouble is this materialistic model of the universe gives no hope to all those who have lost loved ones or those who are coming towards the end of their stay on planet Earth. Also the materialists’ model of the universe does not give a rational scientific explanation for all the ghost stories down through the ages. What is even worse is that the materialistic model of the universe will not put a stop to all the crazy religious killing. Muslim and Christians across Africa; Roman Catholics and Protesting Catholics in Northern Ireland; Hindus, Muslims and Sikhs in India; Buddhists and Hindus in Sri Lanka; Catholic Christians and Orthodox Christians in Ukraine; Orthodox Christians and Muslims in Cyprus; Sunnis and Shia Muslims in the Middle East; radicalised (brainwashed) Muslims in the USA and Europe. And so the religious killing goes on, all over nothing whatsoever apart from supernatural absurdities invented by men in the dark age of ignorance. The men who invented all these dangerous and divisive religions did not know hay from a bulls foot about the cosmos, especially subatomic physics – forces in nature that are normally out of range of our five physical senses. Reference: BBC 4 Television, Horizon. How Big is the Universe? Even though contemporary cosmologists have made the terrible mistake of ignoring Sir William Crookes’ discovery of the spiritual part of the universe in 1874, they have almost eventually got there. This programme showed that they have come up with new names for the spiritual part of the universe. They call it the missing 95% - Dark Matter and Dark Energy. This is what is forcing all the galaxies apart and therefore causing the physical part of the universe to expand. Cosmologists also agree that the spiritual part of the universe (Dark Energy) is where gravity is coming from. "It’s hard to change how people think. People have vested interests, and their projects and reputations would be threatened if certain things were shown to be true." Professor B.D. Josephson Nobel Laureate for physics, Mind-Matter Unification Project at Cambridge University. Interview in the New Scientist on 9 December, 2006. The most famous Jew ever, Jesus, got murdered for daring to tell the truth. In his day he upset powerful people at the top – the men with the money. It’s all to do with money. Please make direct contact with Dr. Cristina Zaccarini of the Adelphi University in New York. She is letting these suppressed discoveries in physics through to her students. Copy to Professor Peter Wadhams: Geophysics Department at Cambridge University. Dr. Alex Katsman gives a very good easy to understand introduction to his paper before he goes into the difficult physics. Copy to Stephen Pollard: Editor of The Jewish Chronicle. Scottish scientists have been moving in the right direction. Please check out John Logie Baird’s book ‘Sermons, Soap and Television’. On page 66 he tells how a scientific contact of his, when working with a materialisation medium, actually took the finger prints of a "dead" person who materialised at an experiment. They were identical to those on the dead physical body. In future experiments we will be able to also take DNA. Before Professor Archie Roy and I witnessed the Rita Goold experiments in Leicester in 1983, a journalist Alan Cleaver had carried out the first class experiment of physically reuniting the "dead" Helen Duncan, who materialised at every experiment, with her daughter Gena Brealey. Please refer to The Cleaver Experiment on my website www.scsad.afterlifeinstitute.org. Please now make contact with Professor Peter Wadhams of the Department of Geophysics at Cambridge University. 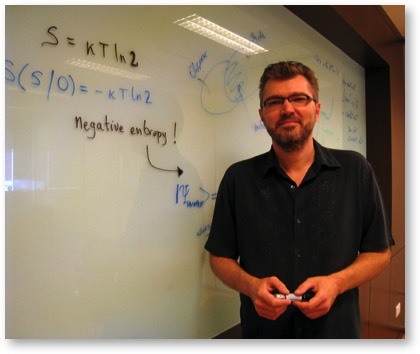 He is the world’s foremost expert on these suppressed discoveries in subatomic physics. Your members may be interested to see what happened after the head of Astronomy at Glasgow University came and spent the day with me in Bristol in 1983. We now have a rational scientific explanation to account for why our ancestors invented all the dangerous and divisive religions. They thought that they had witnessed something that was supernatural or paranormal. In the 21st century we now know that everything in the universe is natural and normal. If any of your members want to take this further please ask them to make direct contact with Professor Peter Wadhams of the Geophysics Department at Cambridge University. It must be qualified scientists who present these discoveries from now on. Professor Wadhams is one of the world’s foremost experts regarding the suppressed work of our British pioneers of radio and television. In 2001 and again in 2003 Peter and I broadcast on American radio, linking up with radio stations throughout the USA. I like to think that this ground work has now led onto universities in the USA giving a balance to their students. He was about to go in with the infra-red cameras in order to capture on film six recently deceased people being physically reunited with their relatives who were still on Earth. This vital scientific experiment was sabotaged by a psychologist who had a great deal to lose from this proof of survival after death. He reputation would be in tatters as he has made a public statement that all materialisation mediums are frauds. As you know the greatest scientist that Pakistan ever produced was excommunicated by the Muslim priests – the 1979 Nobel Laureate for Physics Professor Abdus Salam. This was when he was the Director of the International Centre For Theoretical Physics in Trieste, Italy. "I have already been excommunicated from Islam by the orthodox priests." The Private Eye concluded: "The mullahs who excommunicated the greatest scientist that the Islamic world has produced are, of course, precisely the kind of people whom Blair now wants to entrust with the minds of children in Britain." As Professor Salam gave me a grant from the International Centre For Theoretical Physics to help me point out that our British pioneers of radio and television, Sir William Crookes and Sir Oliver Lodge, discovered the spiritual part of the universe, the Christian priests are not too keen on Professor Salam either. They have still made no move to bring their religion up to date, and get rid of the ancient doctrines and dogmas that are now hopelessly out of date. Just received a copy of your excellent Spring Term edition. I left QEH in 1954, not very successful academically. However, in 1988 the 1979 Nobel Laureate for Physics, Professor Abdus Salam, gave me a grant from the International Centre For Theoretical Physics in Trieste when he was the Director. This was in order to promote my secular scientific case for a separate mind and brain. This great scientist also kindly gave me a number of donations from his own pocket. Discoveries in physics that have been censored in the UK are now being released to university students in the USA. Copy to Michael Gove MP. Excellent article in today’s Telegraph. It is to be noted that Galileo died while still under arrest by the Roman Catholic Church. It took some time before his scientific discoveries got past the religious thought police. To Cristina Zaccarini: Adelphi University, New York, USA. Cristina, please tell your American students what is not reaching students in the UK. There are just too many powerful people holding all the top positions with too much to lose from the truth. It means that the model of the universe that is being taught to British students is incorrect. When the Roman Catholic priest, George Lemaitre, came up with the Big Bang theory in 1927, scientists throughout the world thought that our Milky Way galaxy was the universe. It has now turned out to be the equivalent to a grain of salt in a salt mine. The people in England, where the Anglo-Catholic Church and the state are still established, still have no idea that it is a scientific fact that Sir William Crookes discovered the spiritual part of the universe in 1874. We now know that this is the missing 95% of the universe and is the power behind the force of gravity. It is where we come from and return to after our short stay on planet Earth. Tricia, an extraordinary thing happened in 1983 when your friend, Professor Archie Roy the head of astronomy at Glasgow University, came and spent the day with me in Bristol. During our conversation I happened to mention to Archie that I thought it was very exciting that planets had just been discovered on other solar systems. He told me that he was an expert on planets and that he did not know about this. He wanted to know how I knew about it, an auctioneer in Bristol, and he did not. I was able to tell the astrophysicist that I had just read it in the paper. This coincides with this latest revolutionary scientific discovery in 2017 that planets have been discovered in the goldilocks area that may have life on them. "The pope said to me that he did not care what I did in science just as long as I never encroached on his subject, life after death." For the urgent attention of the Prime Minister, Theresa May. For over 100 years scientific teaching in our schools and universities has been ploughing down a false path. It has been locked into Einstein’s outdated 1915 General Theory of Relativity. This is incompatible with Quantum Mechanics, the study of forces in nature that are normally out of range of our five physical senses. Please note that Sir Isaac Newton was on the right track. He was a Unitarian. Newton and Sir William Crookes were both presidents of The Royal Society, both started from the same scientific base as the philosopher known as Jesus. We now know that it is a scientific fact that we all have a soul that separates from the dead physical body. Google, Sir Isaac Newton’s chapel in Lincolnshire. Please note that Sir William Crookes died in 1919. 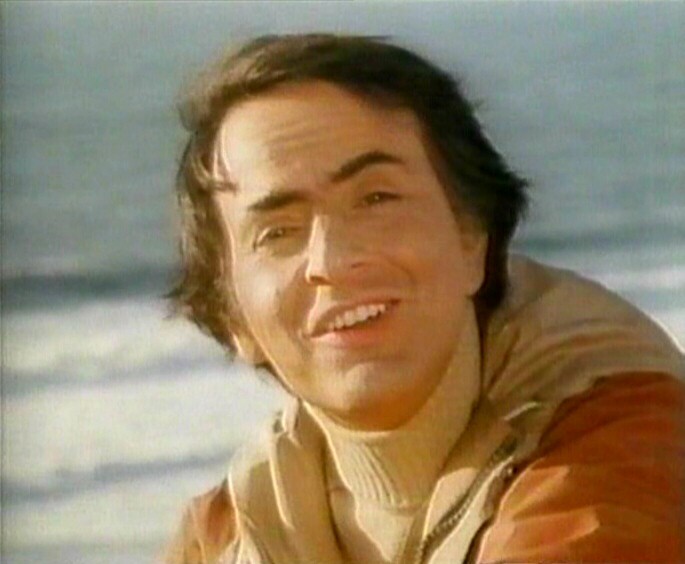 In 1980 millions had a crash course in cosmology thanks to Carl Sagan’s thirteen part television series. Our knowledge of the cosmos today is incredible compared to even great scientists like Newton, Crookes and Sagan. I am copying this to all female MP’s, they are more interested in their childrens’ future than just keeping the materialistic old-boy network intact. Simon, the Big Bang that you mentioned was invented by a Roman Catholic priest, George Lemaitre, in the 1920’s just before Hubble discovered galaxies in 1929. Google it. It seemed a good idea at the time because all scientists agreed, and still agree, that the universe is expanding. Lemaitre just reversed the expanding universe all the way back to nothing, hence the Big Bang. All scientists now agree that 95% of the universe is missing. This is the spiritual part of the universe that Sir William Crookes discovered in 1874. It is much more logical to push everything in our physical universe back into this missing 95% of the universe. The spiritual part of the universe is where we all come from and return to after our short stay on Earth. All the time this exciting discovery in physics is suppressed and vilified then the brainwashed religious fanatics will carry on slaughtering each other, and scientific teaching will carry on ploughing down a totally false path – Einstein’s hopelessly outdated materialistic model of the universe. His 1915 General Theory of Relativity. It does not match the Crookes’ experiments. "If your mathematical experiment does not match the experiment, then it is wrong." Professor Richard Feynman. "I don’t believe that the individual survives the death of his body although feeble souls harbour such thoughts through fear or ridiculous egotism." Albert Einstein, New York Times, April 19, 1955. It’s nearly all over bar the shouting because as you know universities in the USA are letting, what has been blocked in Europe, through to their students. Article in The Bristol Post: Is there scientific physical proof of life after death? The Bristol Post published this article in their print edition on Friday, September 26, 2014, and online on September 27, 2014. "I don't believe that the individual survives the death of his body, although feeble souls harbour such thoughts through fear or ridiculous egotism." However, it was not until 1983 that I received the crushing personal proof that my mother was correct in her conclusions and that Einstein and Hawking had got it desperately wrong. I was invited to Leicester to take part in a scientific experiment. It had been reported that mothers and fathers were being physically reunited with their "dead" children. Here I was sitting next to Barry and Pat Jeffery when their "dead" 16-year-old son, who was killed on his motorcycle, fully materialised and spoke to his parents in his Midland's accent, giving them the crushing proof that losing a loved one is only a temporary tragedy. This experiment had been repeated about 300 times. Another of the "dead" people who materialised was Russell Byrne whose physical body packed in at the age of nine with cancer. He has been physically reunited with his mother and father, Gwen and Alf Byrne on something like 100 experiments. Russell said that as I was coming back next week with my mother, "Is there anybody over here you would like us to get?" I asked if they would be kind enough to get my father who died of cancer in 1967. Russell replied, "If he is over here we will try and dig him out." Sure enough when I went to Leicester the following week I also received the personal proof that my father had survived the death of his physical body. I was not happy about this at all, in fact I was absolutely livid. Not that my father had survived, but the fact that only a handful of people had received this proof of survival. This is a scientific fact that belongs to every man, woman and child on Earth, it's just too bad if it upsets the followers of Einstein and Stephen Hawking. From that moment on I was determined to make it my business to tell as many people as possible about what I had witnessed. I received a letter from a mother who had just seen her two boys killed in front of her by a car. What this mother said to me is the dynamo that drives me on. "After reading your scientific case for survival after death my pillow is dry at night, I am a different woman." Thanks to the Internet millions of people across the world now have instant access to the secular scientific case for survival after death. In 1874 Sir William Crookes discovered the spiritual part of the universe following repeatable experiments under laboratory conditions. He published the results of his experiments in The Quarterly Journal of Science. He was later made president of The Royal Society and awarded the Order of Merit. Crookes discovered the missing 95 per cent of the universe that all scientists are now talking about. It's the part of the universe that we all come from and return to after our short stay on Earth. In 1933 Sir Oliver Lodge, the first person to send a radio signal in 1894, presented his paper 'The Mode of Future Existence'. This gives a cosmological location for the spiritual part of the universe. He linked the study of life after death with subatomic forces that are normally out of range of our five physical senses. Crookes and Lodge were the pioneers of radio and television. They understood about forces that we can't normally see and sense. The other great pioneer was John Logie Baird. In his autobiographical notes 'Sermons, Soap and Television' 1988 (Royal Television Society) on page 66 he tells the exciting story of how a colleague carried out an experiment where he took the fingerprints of an etheric person who materialised. They were identical to those on the dead physical body. A First-Hand Account of Materialisation Mediumship Michael Roll describes an experiment he attended with the materialisation medium Rita Goold. It is hard to imagine anything worse than losing a loved one. Those who know that there is scientific proof that we all survive death know that losing a loved one is only a temporary tragedy. These scientific discoveries bring hope and comfort to every person on Earth. "After reading your scientific case for survival after death, my pillow is now dry at night. I am a different woman." During an experiment with the materialisation medium Rita Goold, Michael Roll sat next to a mother and father, and watched them talking to their "dead" son, who had been killed in a motorcycle accident at the age of sixteen. These parents have been reunited with their son on about 300 separate occasions over a number of years. Dr Alan Gauld, who was President of the Society for Psychical Research from 1989 - 1992, also witnessed this happening. In a 1992 documentary, In Search of the Dead II: Visions and Voices, Dr Alan Gauld talks about how materialisation mediums used to use cheesecloth, but nowadays use net curtains as fake ectoplasm. Everyone in the world has a right to know about these exciting discoveries in physics, especially parents who have lost children. We have all lost loved ones, and we are all going to die one day. Those who censor the secular scientific case for survival after death are showing contempt for grieving people everywhere. "On June 22, 1941 the USSR was invaded by the biggest Catholic Christian army ever." Here is a television history programme that will live on in infamy. It is the Vatican’s take on the history of mankind, and the cause of the First World War. Thankfully, Ferguson gave the game away in the beginning when he gave us a crash course in the history of mankind on this planet. He showed, by horrific graphics, Christians torturing their victims to death. The Holy Inquisition, which he called “The Spanish Inquisition”. The Jesuit’s idea of history, that this was nothing to do with those nice people in the Vatican, it’s all to do with those nasty Spanish people. Then he played the Jesuit’s ace of trumps. At great expense, in graphics, we were treated to the historical lie that it was Marconi who invented radio, instead of Sir Oliver Lodge. It is so important to the Vatican that nobody must read the work of Sir Oliver Lodge. They know they are done for if this ever happens. Sir Oliver Lodge made a very careful study of survival after death as a branch of physics, chemistry and mathematics – natural and normal forces in the universe, and nothing to do with supernatural religious absurdities invented in the dark age of ignorance by priests, mullahs and rabbis. Sir Oliver Lodge was no more dabbling in the one-god religion of Spiritualism, as we have been criminally led to believe, than Professor Richard Dawkins is. ‘The Mode of Future Existence’ by Sir Oliver Lodge can now be read by every person who has access to the Internet. Then we came onto the cause of the First World War. The usual rubbish, there was not a hint that there was any religious hatred in the Balkans. Just that the Russians came in on the side of their fellow slavs in Serbia. The American Professor Gerald Pollack has made it clear that Flat Earth scientists are blocking the discoveries of Round Earth scientists. We can now state, loud and clear, that Flat Earth historians and blocking the findings of Round Earth historians. There are journalists in the hot spots of religious hatred all over the world. They are no longer going to play the establishment game that all this killing is nothing to do with religion. 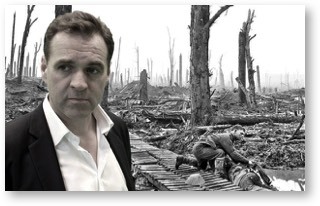 This programme covered the whole of the build up to the First World War. It was just the same as the rubbish that we were taught at school in England where the Church and the state are still established. The programme makers just pretended that nobody had noticed the terrible religious killing in the Balkans that had recently been covered over a number of years on their television sets. We were told that the Serbs were Slavs and that the Russians came in on the side of their fellow Slavs. We were not told that the Serbian people had been brainwashed to actually believe in Orthodox Christianity, just the same as the hierarchy in Russia. The word religion was not even mentioned in the programme. We were not told that the Austrians were brainwashed Catholics. Nor were we told that in the middle of this lot were brainwashed Muslims, just that they were Turks left over from the Ottoman Empire. There is a good reason for this deception. It is because if it was made clear that it was Catholic Christians and Orthodox Christians killing each other, then people may ask what is it that divides them? Thanks to the Internet this can be found out very quickly. This terrible hatred is all over a bust up in the 11th century over the Holy Ghost. All the killing was over nothing whatsoever apart from supernatural religious mythology that had gone completely mad. The programme did get it right about the reason why Britain and France joined in. They saw this religious killing in the Balkans as the perfect excuse to smash the German war machine that was a threat to all the countries that they had pinched throughout the world. It was, wrote historian James Barr, “a shamelessly self-interested pact, reached well after the point when a growing number of people had started to blame empire-building for the present war”. Britain would come to regret the land-grab bitterly, for it set off a conflict that, like an active volcano, would erupt intermittently down the succeeding years and even today shows no signs of cooling. The Allies created a terrible mess in the Middle East. As well as the Israel-Palestine struggle, they bear a measure of responsibility for the inherent instability of the states that emerged from the post-war settlements. Decisions that produced the disorder were often taken hastily, heedless of long-term considerations. It soon became clear that there would be plenty of time to regret at leisure. 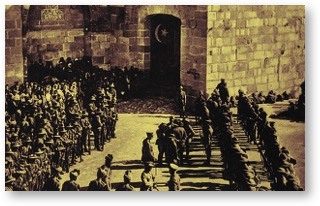 The deal from which much of the mischief sprang was known as the Sykes-Picot agreement. It was worked out by Sir Mark Sykes – a land-owning Yorkshire baronet and MP with a taste for the Orient – and a truculent and Anglophobe French diplomat, François Georges-Picot. Between them they split the Ottomans’ Middle Eastern empire, drawing a diagonal line in the sand that ran from the Mediterranean coast to the mountains of the Persian frontier. Territory north of this arbitrary boundary would go to France and most south of it would go to Britain. 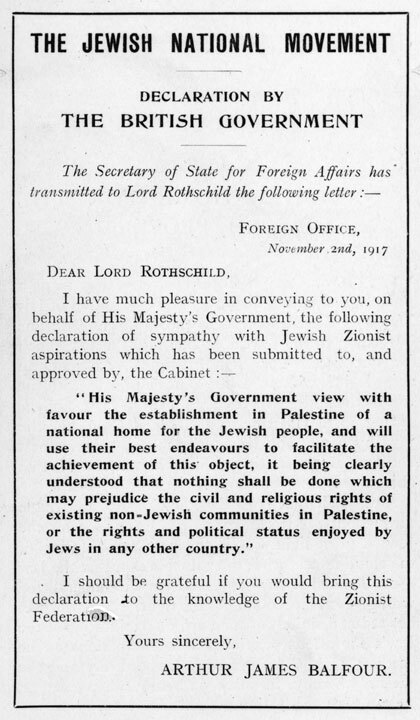 Men like former prime minister and now foreign secretary Arthur Balfour, who had been brought up on the Bible, believed the Jews had a right to return to the Promised Land. They also harboured the conviction that Jews exercised enormous hidden influence in the world and particularly in America and Russia. By making a promise that would gladden Zionist hearts, they might win their co-operation in achieving British war aims. After the conflict was over, it could be useful to have a Jewish entity in the region that felt it owed a debt of gratitude to the empire. 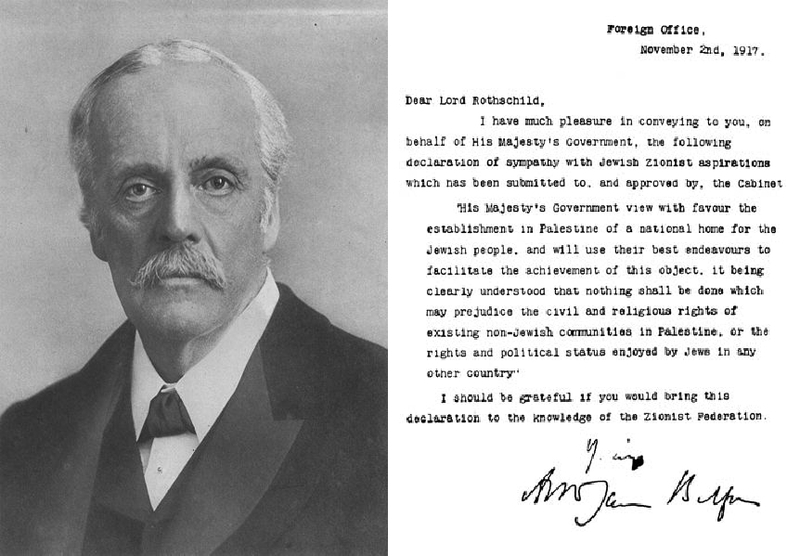 In November 1917, a document was issued in Balfour’s name that laid the foundations for modern Israel. It stated that the government “view with favour the establishment in Palestine of a national home for the Jewish people and will use their best endeavours to facilitate the achievement of this object”. The Balfour Declaration, as it became known, made no mention of the Arabs who, at the time, made up about 90 per cent of Palestine’s population. It did, however, utter the pious proviso that “nothing shall be done which may prejudice the civil and religious rights of existing non-Jewish communities”. The Balfour Declaration (November 2, 1917): The then UK Foreign Secretary Arthur Balfour believed that the Bible was the word of God, and thought it would be a brilliant idea to put the Jews back in the Holy Land. Arthur Findlay’s history of mankind ‘The Curse of Ignorance’ has been completely vindicated. We have won the historical fight to get the truth through. Now we can go flat out in getting Ron Pearson's scientific model of the universe past the professional wreckers. 2014 marks the 140th anniversary of Sir William Crookes' discovery of the spiritual part of the universe. 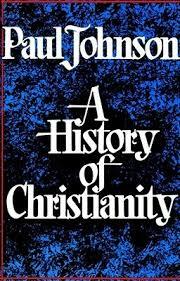 A History of Christianity - A Page-by-Page Criticism of Paul Johnson's Horror Story - Michael Roll has revised his detailed criticism of Paul Johnson's 1976 book, which The Christian Century hailed as “the best one-volume history of Christianity ever done”. In this exceptional book, Johnson offers a factual and comprehensive study of historical events that followed the founding of a little-known “Jesus Sect” and the countless atrocities committed in the name of Christianity. This pamphlet is dedicated to every person in the world who has had the fear of Christ put up them -- Those who have been terrified by priests into thinking that, if they do not believe in priestcraft, they will rot in hell forever without any chance of getting out. Mental child abuse must now carry the same penalty as physical child abuse. In England, the Church and the state are established. Up until 2009, when the common law offence of blasphemous libel was abolished, it was against the law to tell the true history of Christianity, to let people have access to what is contained in this criticism on the grounds that it may upset Christians. This block was policed by a handful of powerful people holding all the top positions in our schools, on the air waves, and in the press, all working through the highly efficient religious affairs departments. In her article, Svetlana Anina (Светлана Анина) writes about the Campaign for Philosophical Freedom, the work of Michael Roll, Ron Pearson, Judith Chisholm, Sir William Crookes, and others. This article was published by Pravda Online on May 14, 2003 (in Russian). That fact that many of Pearson's works are subject to censorship from the British Society for Physical Research, and are not published by the majority of magazines and newspapers, is testimony to the fact that these ideas represent a threat to orthodox teaching. If it were a load of nonsense, Pearson’s work would be subject to broad discussion and his arguments would be crushed. But that has not happened! Naturally, questions began to arise: are mind and consciousness really products of brain activity? Or, can the brain perform the function of an intermediary, processing information, and can this information come from outside? And Dr Fenwick then said that if the mind and brain can be independent of each other, there follow questions about the possibility of existence of consciousness after death. Dr Parnia, in turn, has admitted that when he began these experiments, he was a dyed-in-the-wool sceptic, but he is now compelled to agree that there is something to all this. SHOTS IN THE DARK (Chameleons and holograms: Dark energy hunt gets weird) is the title of this week's New Scientist article admitting ignorance of the nature of 'Dark Energy'. Could you professors all please help by writing to New Scientist to inform them of the existence of this solution? The solution is important to this group's aim of communicating SURVIVAL as fact since it forms a main feature of its explanation. It is also absurd that £billions are being wasted in efforts to uncover the mystery when a solution was published even before the discovery. I can't do it since editors throw out submissions from people with the 'wrong' qualifications. I would like to draw your attention to the fact that the accelerating expansion of the universe was predicted in 1992 long before its discovery. This was the result of a solution to the inflation problem of the big bang. The derivation used by Dr. Alan Guth was based on the false logic of a negative pressure cancelling energy density. As result this failed to provide a means for any energy creation switch-off. The result was ''The Problem of the Cosmological Constant' - an error 10^120 times too high! The solution that provided the creation switch-off used an energy symmetry. This also had the inherent feature of predicting a universe in a state of slowly ever-accelerating expansion - even before the name Dark Energy was even coined! This was first published by the Russian Academy of Science and Arts in 1994 under the title 'Quantum Gravitation and the Structured Ether' and later in the Spring/Summer edition of 1997 in Frontier Perspectives pp.70-78 under the title 'Consciousness as a Sub Quantum Phenomenon'. This was commended by the editor after full peer-review but nobody reads it since the title was inadvertently omitted from the contents list. The point is that from a solution to the major problem a solution for what is now called 'Dark Energy' arose as a natural consequence. It is the sub-quantum ultimate reality that generates the waves on which the quantum level depends. Organised wave generation results from the self-organising power of energy-fed chaos. I do hope that you can help to draw attention to the fact that Dark Energy holds no real mystery since the mechanism by which it operates has been known for 22 years. The 1997 article does not provide the maths but this is fully available via the website: www.pearsonianspace.com. Can we now Hear the Scientific Case for a Separate Mind and Brain? "We can only hope that in the future, whenever the subject of life after death is featured on mainstream media and educational outlets, that the readers, listeners and viewers will be presented with a fair balance; that people always have access to the two expert opinions." Transcript of a discussion on BBC Radio 4's Today programme, October 2, 2001, with Sue MacGregor (presenter), Professor Brian Josephson and Nicholas Humphrey, and a voice recording of James Randi. "In 1988 Dr. Louis Essen, famous for his caesium beam atomic clock, published a critique saying Einstein broke the rules of logic in positing that a compound unit based on two basic units could be a universal constant. This was the speed of light: distance divided by time. " On Saturday, April 20, 2013, Vlatco Vedral gave a lecture at the Bath Royal Literary and Scientific Institution (BRLSI). The tenet of his lecture was that the universe is not made of energy at all, but is all information. The lecture was attended by Ron Pearson who wrote to Professor Vedral about his lecture. I was intrigued to see that quantum physicists are now saying that our world is constructed entirely of information and not energy. But do they have any idea of the source of that information? November 2013: Ron Pearson has so far not received a reply from Vlatco Vedral. This is a pity, as Ron was offering Vedral a solution to his question. The solution is Survival Physics, and was published in the October 2005 edition of the SPR magazine Paranormal Review. Ron Pearson began work on Survival Physics in 1987, as an attempt to solve a major problem of the big bang, by which it is still invalidated: The big bang theory predicts a rate of expansion of the universe that is a billion multiplied by itself 13 times too high! Ron Pearson's solution shows that an ultimate reality must exist, having the properties of self-creation and self-organisation. This then provides all the information needed to create the illusions of matter and the etheric worlds - so providing an answer to the question posed to Vlatco Vedral regarding the source of information he postulates. Furthermore, Ron Pearson's solution predicted the accelerating expansion of the universe before its discovery in 1998, first in Russia in 1993, and later in the Spring/Summer edition of Frontier Perspectives 1997 under the title 'Consciousness as a Sub-Quantum Phenomenon'. It is worth noting that cosmologists assume the acceleration to be caused by something they call 'Dark Energy'. However, they admit this is a complete mystery and search for clues by studying, using five satellites at great expense, the cosmic background radiation of the universe. What they have not yet realised is that what they are seeing is the ultimate reality. Broadcast on BBC TWO Television on Saturday, August 9, 2014: 21:15. 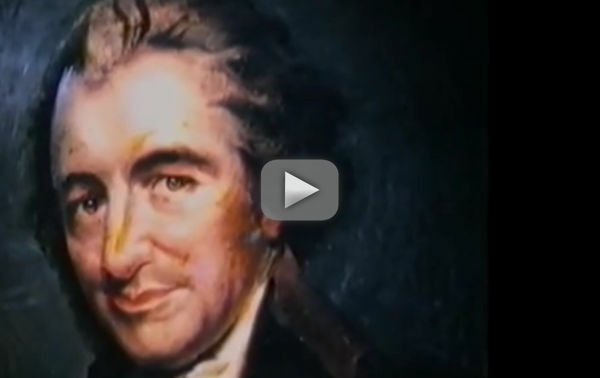 Melvyn Bragg tells the remarkable story of Thomas Paine (1736 - 1809), the 18th-century English radical writer who wrote three of the best-selling political essays of all time: Common Sense (1776), Rights of Man (1791), and The Age of Reason (1794). 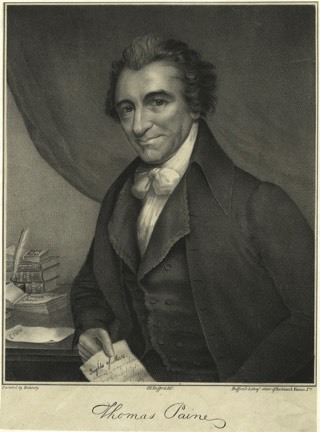 Thomas Paine's Rights Of Man and The Age of Reason charged British radical thinking throughout the 18th century, and were a key intellectual influence on the American Revolution, which brought independence from Britain. Paine lit the fuse for the American Revolution, was an active participant in the French Revolution, and laid the foundation for political reform in Britain. His influence - both literary and political - has continued long after his death. 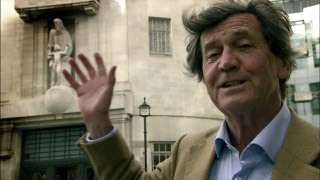 For this broadcast, Melvyn Bragg travels from Norfolk to Philadelphia, and New York to Paris, as he follows in the footsteps of one of the great champions of democracy and human rights. Along the way, he explains how the freedoms we all enjoy grew out of 18th- century Enlightenment thinking, and were given popular voice in the works of Thomas Paine. At last people in their millions are going to find out just how badly they are being deceived by their leaders and teachers - that there is no such thing as Christians, Muslims, and the Jewish religion. People have been killing each other over nothing! Only supernatural religious absurdities invented by men in the dark age of ignorance. Men who knew nothing about the cosmos, and thought that a red hot ball of fire went round a flat Earth every day. In the 21st-century, any conclusions that these ancient priests came to have to be scrutinised very carefully indeed, and never blindly believed. Thomas Paine’s exciting scientific age of reason has arrived. No wonder he was wanted dead or alive in England for daring to tell the truth in a country where even today the Church and the state are still established. (…) His first book, Common Sense, written in 1775, was taken by the American leaders of what became their Revolution – especially George Washington – as a summons that it was their duty to throw off the colonial yoke. His next publication, The Rights of Man (1791), had, like Common Sense, startling success, and also attacked the English constitution. It sold more copies than the Bible and it turned the British government against him. In his third book, The Age of Reason he dismantled the Bible stories with a ferocity of reason which again infused the imagination of an immense audience. But yet again he attacked those who had elevated him. He objected to all capital punishment including the execution of the King and Queen of France. The French threw him out of Parliament and into prison, where he just escaped the guillotine. He died in America in 1809, having been given a small pension by a few of his friends. Even fewer turned up – six – at his funeral. 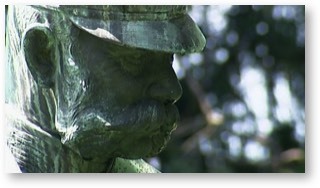 "An illiterate mechanic, when mistaking some disturbance of his nerves for a miraculous call proceeds alone to convert a tribe of savages, whose language he can have no natural means of acquiring, may have been misled by impulses very different from those of high self opinion ; but the illiterate perpetrator of " the Age of Reason," must have had his very conscience stupefied by the habitual intoxication of presumptuous arrogance, , and his common sense over-clouded by the vapours of his head"
Coleridge on Paine and his ilk. Below is the wording on the plaque in the Oxford University Museum of Natural History on the very spot where Sir Oliver Lodge sent the first radio signal on August 14, 1894 at the Oxford meeting of The British Association. This plaque commemorates the centenary of the first public demonstration of wireless telegraphy, the precursor of modern radio. In this lecture theatre on 14 August 1894 at the Oxford meeting of The British Association, Sir Oliver Lodge, F.R.S., demonstrated the reception of a morse code signal transmitted from the old Clarendon Laboratory, some sixty metres away. Sharp Laboratories of Europe generously funded this plaque which was unveiled by Sir Michael Atiyah, O.M., President of The Royal Society. 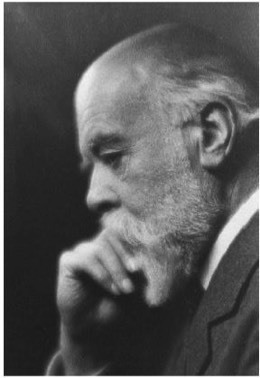 In 1933, the inventor of radio, Sir Oliver Lodge (1851 - 1940), gave a cosmological location for the spiritual part of the universe with his scientific paper The Mode of Future Existence. This vital scientific discovery has been suppressed and kept from the people. In 1894, Sir Oliver Lodge sent the first radio signal. However, twenty years before this, in 1874, Sir William Crookes (1832 - 1919) had discovered the spiritual part of the universe by carrying out repeatable experiments under laboratory conditions, and had published the results in The Quarterly Journal of Science. Crookes was later made the president of The Royal Society and awarded The Order of Merit. Crookes' experiments proved that it was scientifically possible for, for example, Jesus to appear in front of his disciples in his "spiritual" body, proving to them that he had survived the death of his physical body. Professor C.D. Stephens correctly credits Sir Oliver Lodge as the first person to send a radio signal. However, this was not at Liverpool University. There is a plaque at the Museum Lecture Theatre at Oxford University at the very spot where this took place in 1894. 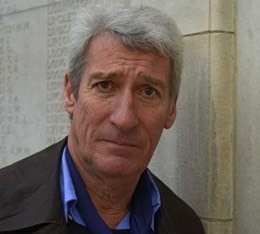 This was Jeremy Paxman’s fourth and final episode of his series Britain’s Great War. Paxman told how a medium contacted Sir Oliver Lodge, giving evidence that his son Raymond, who had just been killed, was still very much alive. ‘Raymond or Life and Death’ by Sir Oliver J. Lodge (1916) Methuen & Co. Ltd.
Incredibly, no professional wreckers were brought on to rubbish the very idea that any person could possibly survive the death of their physical body. Radio Interview with Michael Roll In June, 2010, Michael Roll was interviewed over the phone by Chris Powis of Evergreen Radio about the scientific proof of life after death. Uncomfortable Historical Facts That we are Never Taught at School in the Theocracy of England This article by Michael Roll was updated (March, 2014). The e-mail list for the Campaign for Philosophical Freedom provides notification of updates to this site, and occasional information relevant to Campaign activities and to the secular scientific case for survival after death. It is an announcement-only list, and is not intended for discussion. The list is free to join, and open to anyone. To subscribe, enter your e-mail address in the box above and click "Go". Life After Death of the Physical BodyWHEN WE DIE, SHALL WE LIVE AGAIN? LIFE BEYOND THE GRAVE IS THE PROMISE THAT HOPE HAS EVER WHISPERED TO ALL WHO HAVE LIVED; LIFE WOULD BE BUT A FUTILE THING, AND ALL EFFORT USELESS, IF THE FUTURE DID NOT STRETCH BEFORE US, ENDLESS AND UNLIMITED IN ITS POSSIBILITIES. The Arthur Findlay SocietyA site dedicated to the work of Arthur Findlay. The Arthur Findlay Society promotes Arthur Findlay’s scientific approach, and will network with other organisations that recognise that survival of death can be proved with scientific experiments and personal experiences – and that survival is not dependent on belief, faith, or superstition. Tricia RobertsonOne of Britain's foremost psychical researchers ...invites you to ask a question or start a dialogue with her.